Available for students K-12, YPG in-school workshops foster creativity and self-esteem while building technical understanding of music production and recording. YPG offers unlimited free music production software for schools and students in its programs. Pushing traditional music education into the 21st century, YPG in-school workshops are all about writing music in the styles that students actually listen to. Although they function differently depending on the age groups, each workshop results in pieces of music that students and families can listen to online. Lawrence Grey and the YPG instructors create a fun environment where young people are encouraged to collaborate, experiment, and discover the joy of writing music. In-school workshops for elementary students (K-5) teach students about writing electronic music through dynamic songwriting sessions. The students come up with ideas for a song, write lyrics, and then record their ideas under the supervision of a YPG instructor. Elementary students have written songs about everything from a Rock n’ Roll pickle to going on a bacon vacation. In these workshops, kids can let their mind run free and the YPG instructor shows them how turn their ideas into a song. Any room with an outlet, whether it's a classroom, conference room, or a cafeteria, can be turned into a studio! High school students write their own music as the move through the YPG project-based curriculum. 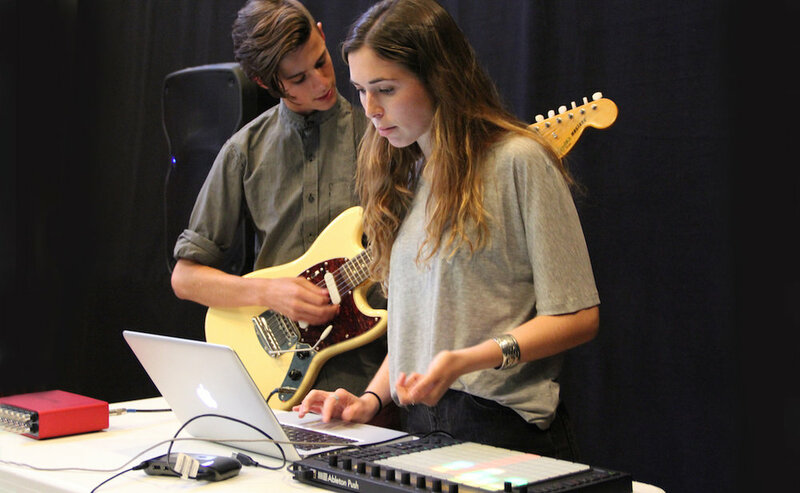 With a focus on composition and collaboration, high school students learn how to make music in the styles they love. With collaboration at the heart of all of the programs, students involved in YPG workshops grow on social and personal levels while they learn to produce. Depending on their age and resources available at the school, middle school students learn through a combination of elementary and high school methods. For more information, please reach out to contact@youngproducersgroup.com.